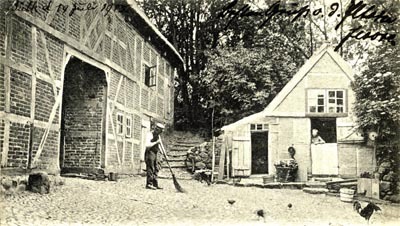 A Heidkate originally was a one single house where people and live stock lived under the same roof (this was usual in Germany) and in the course of time a handful of smaller barns and other little cottages would have been added. 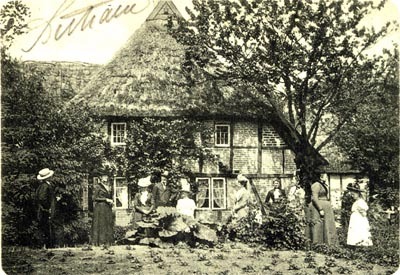 The image "fisherman's cottage" shows that this cottage is directly at the beach. 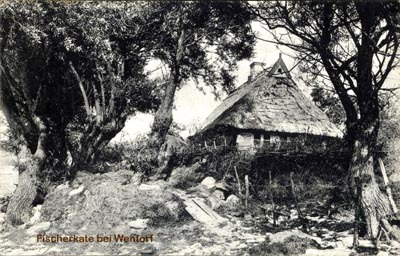 The subscript telling that it belonged to Wentorf was part of "Wentorfer Strand" ("Wentorf Beach").